A Very Good Thing Indeed | Idealist Girl! 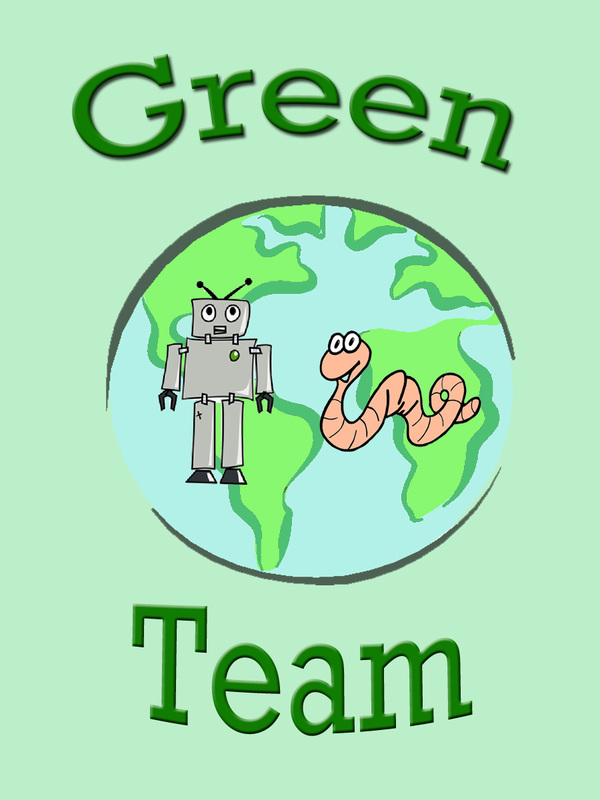 The Green Team logo we use at Soren’s school. The robot recycles and the worm composts! Yesterday I spent part of the afternoon tending the compost and recycling station at our neighborhood’s summer festival. I was recruited by my friend Barb, who is my main resource for all things waste-related (and also my idol). If you think I know a lot about recycling and waste, you should meet Barb! She puts me to shame. It was a beautiful summer day and a great one to spend at a festival. The sun was shining. A band was playing. The children had bracelets that allow them unlimited turns in the bouncy castles. And people were composting and recycling, often without any input or assistance. It made me proud to be an American. Or at least one living in Seattle. I played an enjoyable little game with myself in which I guessed whether the person approaching the waste station was going to need help or not. Here’s what I found: Guys with sunglasses needed help most often. Nearly everyone thought that water bottles can be recycled with their lids on [They can’t. You have to throw the lid away]. Straws and plastic utensils similarly flummoxed people. People wanted to recycle them because they are made of plastic. Sadly you can’t recycle them because they are made out of number 6 plastic which isn’t easily recycled. [Why do we even use it?]. My favorite recycler was a grandpa who was there with several of his children and grandchildren. He stayed with me at the station for at least five minutes because he wanted to learn. He asked thoughtful questions like: Why do the lids have to be 4 inches big in order to go into the recycling? [Small ones jam the machines]. Are there people who work in the recycling station to manually sort the recycling? [Yes, though most of the sorting is done by machine]. Do I think most people are doing a good job of sorting at home? [Not yet, but I think we are making progress]. He and his wife came through the waste line several times, finally confessing to me that their children are awful recyclers so they were dealing with all of the “trash.” But they vowed to work on their kids. The biggest surprise for me was that almost without exception, people under age 18 did not need help. They might ask me to confirm that they were doing the right thing. But they already knew into which bin their waste should go. Even the heartbreakingly awkward, gangly teenage boys, who approached the bins at an angle to studiously avoid eye contact, removed the lids from their water bottles before recycling, scraped the food off their plates and into the compost, and placed their wrappers in the trash bin. It was a beautiful thing. It also made me realize that the work that people like Barb have been doing in our schools for the past five years is actually producing results. This festival was neighborhood-based. The kids attending it were largely graduates from one of our local elementary and middle schools that are composting and recycling in the lunchroom. Five days a week for 10 months a year, these kids are sorting their waste. They know the how and the why. And for them there is no question of whether or not they should do it. They just do it. It was incredibly satisfying. It renewed my sense of purpose for tackling the ongoing challenges of the Green Team at Soren’s school. It gave me hope that one day in the future, these things that we have worked so hard to establish will be expected. Taken for granted even. And that will be a very good thing indeed.